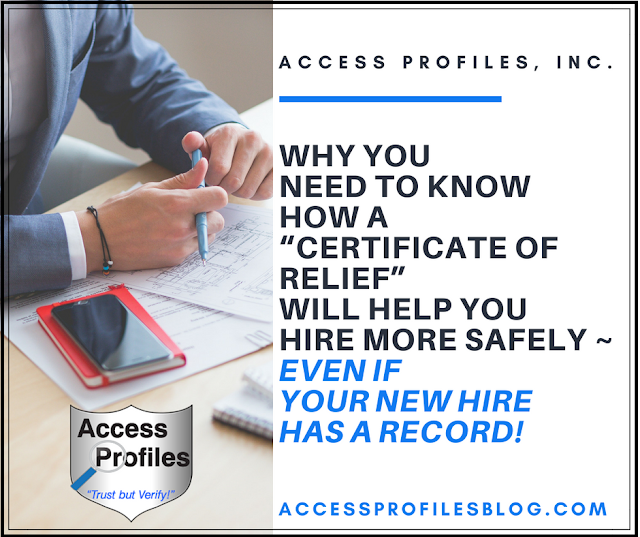 Access Profiles, Inc.: Why You Need to Know How a “Certificate of Relief” will Help You Hire more Safely ~ even if Your New Hire has a Record! Why You Need to Know How a “Certificate of Relief” will Help You Hire more Safely ~ even if Your New Hire has a Record! That is a question that plagues both employers and job applicants who have any kind of criminal history. When it comes to employers, many are understandably wary of hiring applicants with a criminal record. They worry that they could cause problems for their company, their other employees, and their customers. They think that by hiring an ex-offender they are putting themselves and others at risk. Companies also fear that hiring someone who already has a criminal history makes them more vulnerable to negligent hiring lawsuits. Employers can be found liable if, while during the course of business, one of their employees commits a criminal offense or acts in any way that could cause harm to someone else. Ex-offenders also have their own set of worries and fears. They know that even after they have completed their sentences, they face a prejudice that is hard to overcome. And that prejudice is crystal clear when it comes to getting hired. However, helping those with a criminal history get a job is not only important for them, it is good for our society as a whole. When criminals are released from jail or finish a period of probation, they are, for the first time in awhile, on their own. Many make vows to themselves that things are going to be different. They dream of being a self-reliant, responsible adult. But the problem then becomes, how can they make that happen? It all comes down to this ~ Find a Job! Getting hired is the key! It is a huge step for any ex-offender when it comes time to start over. Being employed not only helps them financially, it also gives ex-offenders a sense of normalcy and, most importantly, pride. Without that step up, many will re-offend and can even end up worse than before. 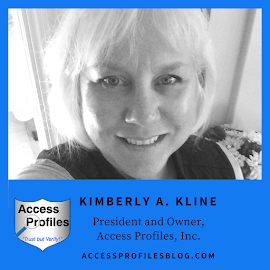 This is a problem not just for them, but for all of us ~ and the Equal Employment Opportunity Commission (EEOC) and many states are starting to take notice. One of the latest ways that some states are helping ex-offenders get a new start is by granting them a “Certificate of Relief”. A “Certificate of Relief” is a statement by the court that an ex-offender has met a certain pre-defined set of circumstances and conditions concerning their past conviction(s). This certificate is designed to help reduce the risk to employers who hire ex-offenders. A limited number of felonies and/or misdemeanors. A specific period of time has passed since the completion of their sentence (may be 12 months or more) including any probation or parole assigned. They must have completed all terms of their sentence(s) including probation, substance abuse or anger management treatment. They have not violated or failed to comply with any term of their criminal sentence(s). They have no criminal charge(s) pending. They must be engaged in, or seeking, lawful employment, an education, training, or registered in other rehabilitative programs or have a lawful source of support. Belief of the court that granting the “Certificate of Relief” would not put the safety or welfare of the public or any individual at unreasonable risk. But perhaps the most important result of a “Certificate of Relief”, at least to employers, is that it helps protect them from liability when it comes to most negligent hiring claims. Considering a "Certificate of Relief", along with other background check information, to determine employment helps prove that they have done their due diligence and vetted that employee to make the safest hire possible. In addition to the “Certificate of Relief”, many other states are revamping their expungement procedures, especially when it comes to first-time, non-violent, offenders. “These states are passing legislation that will expand the ability of ex-offenders to have their record expunged. In many cases, it will be is as if their conviction never existed. A job applicant would be then be able to legally state that they have never been convicted of a crime. Many believe it is a way to give an ex-offender a second chance. Others feel it is simply a way for those convicted of a crime to hide their past”. 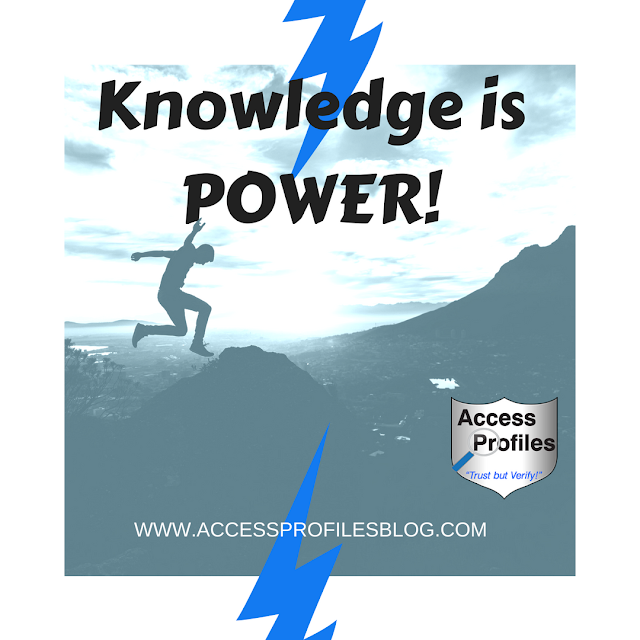 Find out more about the pros and cons of expungement in “Expunging Criminal Records ~ What You Need to Know”! I believe that a “Certificate of Relief” is of more value to an employer than an expungement. 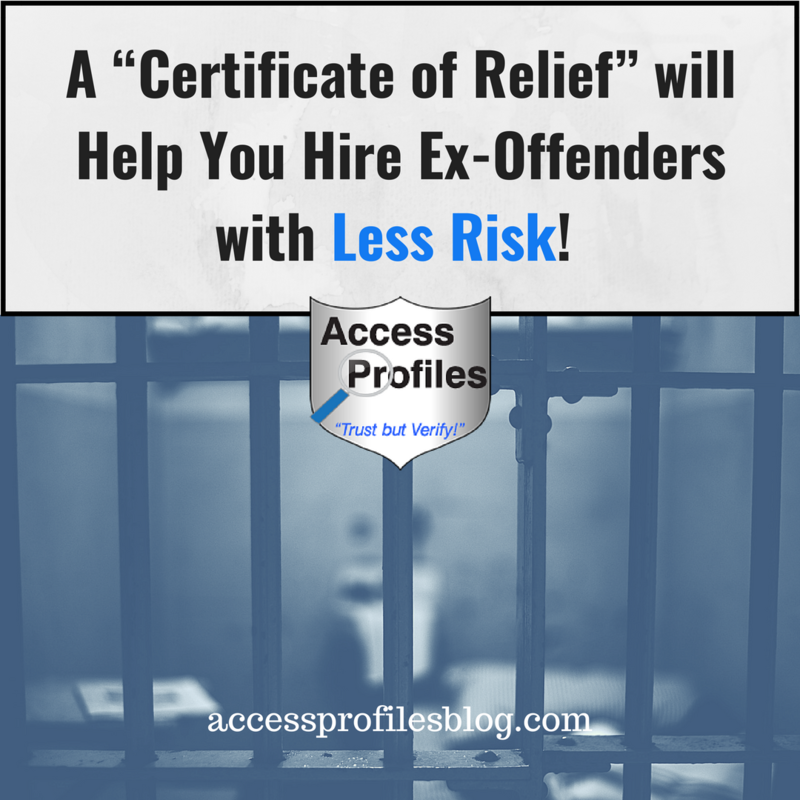 A “Certificate of Relief” still reveals an applicant’s criminal history and it offers proof that the ex-offender has met a specific set of requirements and has taken steps to move beyond their past. It also offers some protection for employers. An expungement, however, tries to “hide” a criminal history entirely from employers, while still making them vulnerable to potential negligent hiring lawsuits. This is unfair and results in more employers being wary to hire ex-offenders at all. No hiring decision should ever be made blindly. It is possible to hire an ex-offender and to do so safely and with eyes wide open. The key is to never skip the background check. Be sure to do background checks on each and every new hire, and use re-screening and workplace observation post-hire! 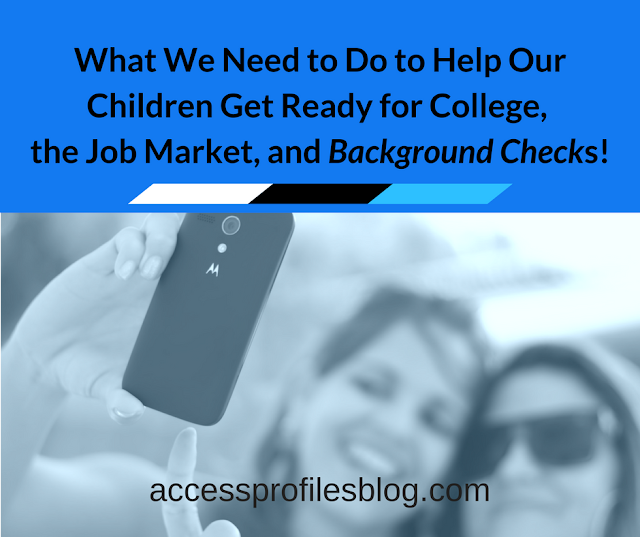 Background checks play an essential role in any businesses’ hiring practices. They give you the information you need to make an informed and safe employment decision. No matter what current or future employment laws and regulations dictate, it ultimately comes down to this ~ whether we choose to believe in second chances. “People cannot only be defined by their pasts. Our greatest ability as human beings is being able to learn from our mistakes. We need to recognize this. We as employers and Background Check companies need to move past the notion that “Once a Criminal, Always a Criminal”. People can change. And giving them another chance can help make that change more permanent”, excerpt from “Once a Criminal, Always a Criminal ~ Why We Need to Believe in Second Chances”! Giving those with a criminal past a second chance, while protecting the interest of employers, is possible. And if more states consider offering a “Certificate of Relief” to qualified ex-offenders, we are closer than ever to making that a reality. Have Questions about Your Hiring Process or Need Help Screening Your New Hires? Discover More About Us and Our Background Investigation, Business Mentoring, and Security Consulting services.